Taken from The Apologetics Study Bible, p. 1900. Born in Palestine, Justin (c. 100-167) spent his early years immersed in philosophy. Though a professional philosopher (Platonist), he was impressed with the courage of Christians facing death for their faith. He converted to Christ in A.D. 130 through the witness of an old Christian man who spoke to him of the true "philosophy." This truth was revealed through biblical prophets foretelling events to come and was confirmed by miracles. Justin's heart was stirred and thereafter he spent his days seeking to introduce others to Christ. Faithfulness to his confession of Christ ultimately led to his beheading at Rome- hence the name Justin Martyr. 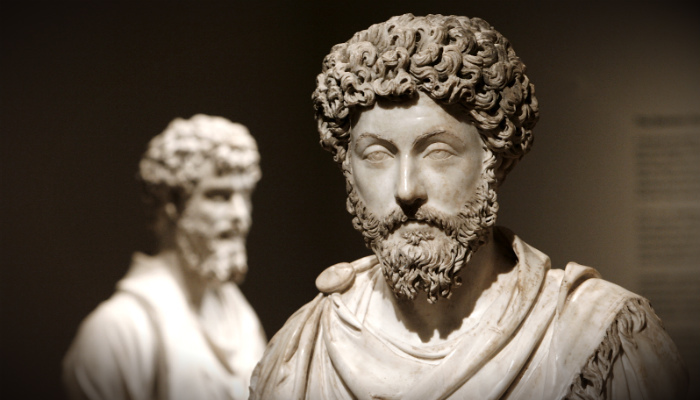 Justin would go on to write several apologetic treatises, including two addressed to the Roman emperors Antoninus Pius and Marcus Aurelius. In these works Justin sought to prove the injustice of the persecution of Christians. He defended Christians from false charges such as atheism. Their refusal to bow before pagan idols and worship the emperor stemmed from their worship of the true God, who is invisible as Creator of all things. Demons are the true source of the hatred instigated toward Christians. Traces of truth that may be discovered in pagan philosophers writing before Christ were borrowed from the Hebrew Scriptures or else are due to the pre-incarnate Christ as Logos (the rational power guiding the universe) enlightening them. The biblical prophets accurately prophesied the coming of this Christ as the central figure of history. Some would claim that Christians and Muslims worship the same God, but is that truly the case? In today's featured article, philosopher Doug Groothuis argues that the Christian God is very different from the God of Islam. 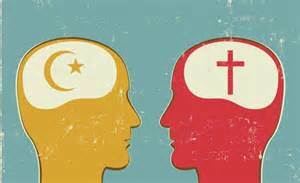 "If indeed Muslims and Christians worship the same God, there would be little need for disagreement, dialogue, and debate between them. If I am satisfied to shop at one grocery store and you are satisfied to shop at another store, why should I try to convince you to shop at my store or vice versa? Do not both stores provide the food we need, even if each sells different brands? The analogy is tidy, but does it really fit? Deeper questions need to be raised if we are to settle the question of whether Christians and Muslims worship the same God. First, what are the essential teachings of Christianity and Islam? Second, what does each religion teach about worshipping its God? Third, what does each religion teach about the other religion? That is, do the core teachings of Islam and Christianity assure their adherents that members of the other religion are fine as they are because both religions "worship the same God"?" Many times it is necessary for the Christian case maker to make an apologetic for apologetics. We must be equipped to defend and persuade fellow believers that apologetics is vital and biblical. I am meeting with men and women who's marriages are falling apart. How is apologetics going to help me then?" Did you catch that? What was "upsetting whole families?" It was the empty talkers and deceivers. For me a light bulb went on. This pastor's assumption was that apologetics could have nothing to do with a man's marriage falling apart and his family being "upset." However, my experience has demonstrated otherwise. I recollect teaching a Sunday school class and a young lady came in looking very distraught. She went on to explain to the group that her husband, who was the spiritual leader of their household, had become an atheist. What was the reason for the sudden change? Her husband had been visiting atheist internet sites and had come to believe that his Christian faith was without foundation. He no longer wanted his son in a Christian school and refused to come to church. He even began to harass his wife about her Christian beliefs. Needless to say, their household was upset! Had this gentlemen been equipped to "be able to exhort in sound doctrine and to refute those who contradict" his trust in Christ would have been confirmed and his household would have been stronger for it. Now, don't misunderstand me. I'm not arguing that apologetics is the answer to everything. Surely it is not. However, I believe apologetics is much more practical than many think and that it does directly impact marriages and families. 1. Holy Bible, Updated New American Standard Version, Introduction to Titus, p. 1144. When someone commits to becoming a Christian case maker it can be overwhelming. There are so many arguments and counter-arguments to master. I think a great place to start is to learn just one argument and know it well. Imagine if every Christian committed to mastering just one argument for the existence of God, the reliability of the Bible or the resurrection of Jesus. I believe more people would begin to at least consider what Christians had to say. 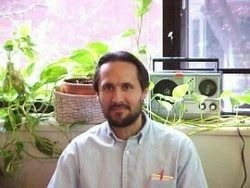 In this post by Carl Weitnauer of Reasons for God, each of these arguments are explained and research links are provided for further study. Weitnauer also includes links to answers to common objections to the arguments. 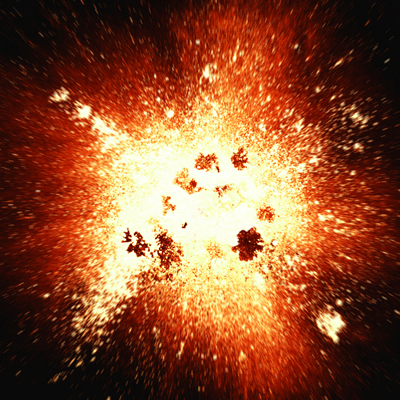 This page is a great place to begin studying the cosmological arguments for God's existence. So learn and argument and start sharing it! What Are Obstacles Christians Face When Dealing With Muslims? "Many sane, educated and generally trustworthy people claim not only that God exists but also that they have genuine knowledge, including justified true belief, that God exists. Because claims are typically cheap and easy, however, the claim to know that God exists will prompt the following response, usually sooner rather than later: How do they know? This common four-word question, although irksome at times, is perfectly intelligible and even valuable, as far as it goes. 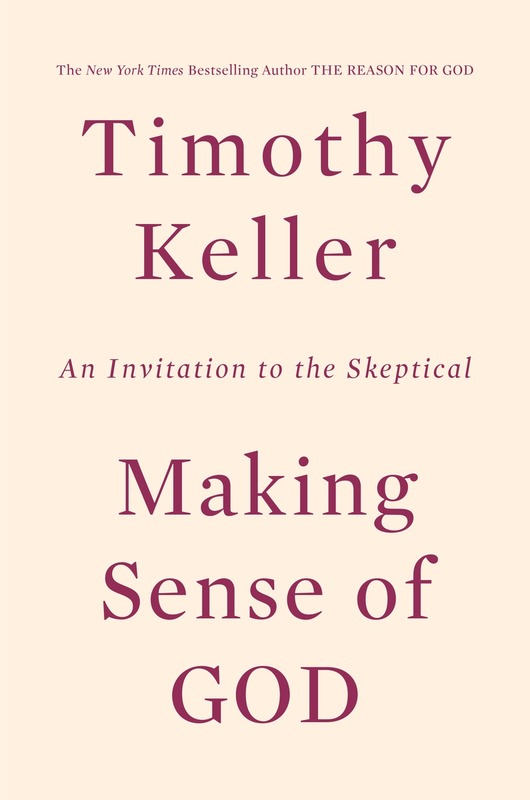 It seeks an explanation of how the belief that God exists exceeds mere belief, or opinion, and achieves the status of genuine knowledge. In particular, this question typically seeks an explanation of how, if at all, the belief that God exists is grounded, justified, reasonable, or evidence-based regarding affirmations of truth. A plausible goal behind our four-word question is, at least for many inquirers, to acquire truth in a manner that includes an adequate indication of true belief. These truth-seeking inquirers aim not only to avoid false belief and lucky guesswork, but also to minimize the risk of error in their beliefs (at least in a way befitting to the acquisition of truth). We should aim for the same, as people who seek truth but who are faced sometimes with facts and other realities at odds with our opinions. 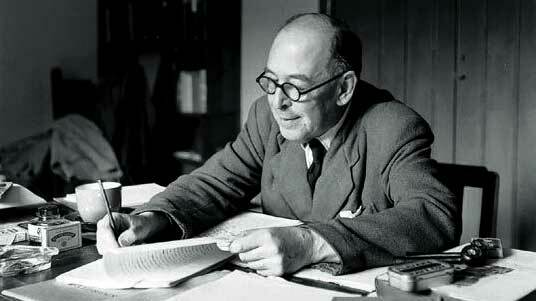 In seeking truth about God's existence, in particular, we thus should seek truth based on evidence for God's reality. Such evidence, if available, would indicate that it is true that God exists, or (in other words) that God is real rather than fictional." Recently, I was listening to a Haven Today program entitled Heaven, Hell, and Hope. It was part of a week-long series entitled "Honest Evangelism." During the program, they play two audio clips, one of Penn Jillette's encounter with a Christian who shared his faith with him. I had heard this previously. But the second clip was an interesting segment from Seinfeld. In this episode, Elaine is dating a Christian named "Puddy." I will admit that I found the clip funny but at the same time I also believe it gets it right when portraying many Christians today. We claim the benefits of knowing Jesus but don't make it our priority to share it lovingly with others. Check out the clip below and feel free to share your thoughts! Here is the latest video from Inspiring Philosophy. This one deals with the claim that Jesus is merely a "copycat" of the ancient Persian deity Mithra. For more on Mithraism, go here. If I had to label the apologetics methodology I subscribe to I would say that I am an evidentialist. However, I find value in each of the apologetic approaches and you won't find that I spend too much time quibbling over which approach should be used. In many cases, I believe it depends on the person you are sharing your convictions with. Regardless, I desire to learn more about the pre-suppositional approach so I took the time to listen to Brian Auten's interview with pre-suppositional apologist John Frame. Auten's apologist interviews are gems and if you haven't taken the time to listen to them, I highly recommend them. You can find them here. You can listen to this interesting interview here. 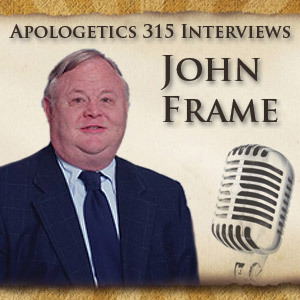 To learn more about John Frame and his work, go here. Dr. Craig provides his thoughts on the current state of America in Reasonable Faith's most recent podcast. You can listen to this particular podcast here. 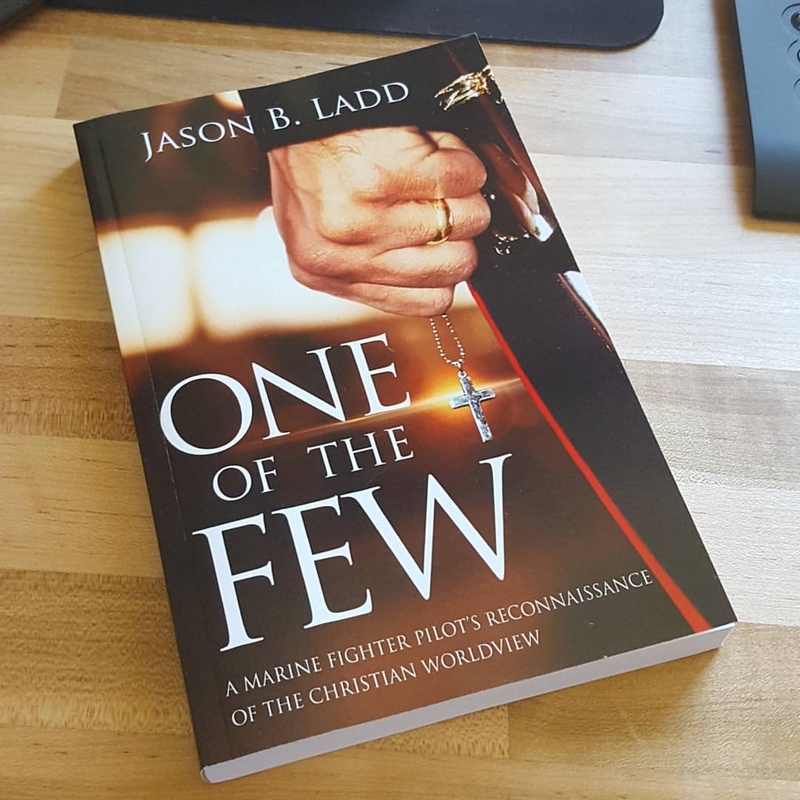 Jason Ladd is a Marine, apologist and author of One of the Few: A Marine Fighter Pilot's Reconnaissance of the Christian Worldview. Q: How did you get involved in apologetics? My own journey toward becoming a Christian began with reading apologetics books. When I began realizing the caliber of people dedicating to answering questions about Christianity, I knew this was something I could really dig into. Q: What would you say to the Christian who doesn't believe apologetics is necessary and thinks that we should just "live out" the gospel? I would say that they're approach to living out the Great Commission is incomplete. The earliest Christians used both lifestyle evangelism as well as reason and logic to persuade non-believers. We should do the same. Some have said that apologetics can help clear out objections, giving the Holy Spirit room to work. I like that. Q: How is your book different from other apologetics works? I wrapped my apologetics in story. I wanted to attract the readers who might not normally pick up a book by an apologist, pastor, or theologian. But they might be interested in the story of a Marine fighter pilot. Q: What advice would you give to young apologists? It's never too early to share your faith. You know enough. Go forth with what you know. Q: What apologists have had the greatest impact on your own thinking? I've been reading and listening to Ravi Zacharias for years now. Frank Turek is super engaged with our culture and has an active presence speaking to our youth in the universities. Dinesh D'Souza--thought widely know now for his political commentary--skillfully lays out arguments for the faith. And I'm becoming a huge fan of Os Guinness. You can learn more about Jason Ladd and his ministry here. You can order his unique book here. Earlier this week, Tim Stratton of Free Thinking Ministries shared an article he wrote titled Pro-Choice: The Wrong Side of History, Science and Logic.1 The above video was included in the piece. Some pro-abortion choice advocates would have us believe that the pro-life view is merely a religious one; however, as this video demonstrates, the number of non-religious pro-life advocates is growing. Stratton then rightly asks, "To my brothers and sisters in Christ, if atheists are coming to see that abortion is murder, what excuse do you have when voting for a politician who is in the clutches of Planned Parenthood?" 1. I recommend that budding apologists read Stratton's work. 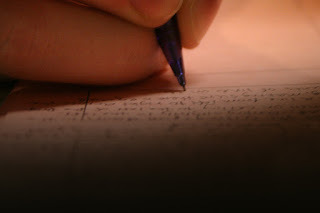 Regardless if you agree with his conclusions or not, his writing will challenge your thinking and demonstrate how to present an argument logically, systemically and clearly. I had the pleasure of presenting on the topic of Christians and social media this past Friday evening in Bel Air, MD at Mt. Zion Methodist Church. We had a wonderful meal, a great time of worship and a blessed time of fellowship. Will Brooks, who organized the event, did an outstanding job and was a very gracious host. My talk was based on Craig Groeschel's book #struggles: Following Jesus in a Selfie-Centered World and in Appendix #1 at the conclusion of the book, Groeschel shares "10 Commandments of Using Social Media," I decided to share them here because I personally found them helpful and believe others will as well. In the book, Groeschel explains each of the 10, but for my purposes here, I will just list them. 1. Put God first in all you say and post. 2. Love others as you want to be loved. 3. Use social media to facilitate, not replace, real relationships. 4. Use social media instead of being controlled by it as an idol. 5. Turn your virtual other cheek to posts that offend you. 6. Do not post our of emotion. 7. Always reflect Jesus, loving God whether online or off. 8. Do not use social media to fuel temptations. 9. Form your own opinions; do not follow the crowd. 10. Do not base your identify on what people think. 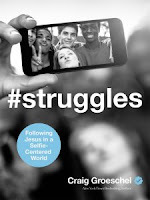 I hope you find these as helpful as I did and I would recommend Groeschel's book. It was both challenging and practical. In the subject piece, Dr. Rana summarizes what he will be presenting at this year's National Conference on Christian Apologetics. Dr. Rana writes of why it is a stretch to use the discovery of soft tissue in dinosaur fossils to make the case for the young earth view. The piece can be read in full here. Romans 12:2 says: 'Be not conformed to this age, but be transformed by the renewing of your mind, for your proving the will of God – the good, and acceptable, and perfect.' Culture is the expression of a shared spirituality grounded in a worldview. How can we understand the spiritual dynamics of contemporary western culture and its internal clash of cultures? How can understanding the times help us in our discipleship, apologetics, and evangelism? This lecture will engage with art, music, song lyrics, film and architecture, as well as philosophy, as we trace the logical and historic line of descent from a pre-modern Christian culture through scientistic modernism to nihilistic postmodernism. We will explore the ways in which the modernist rejection of God creates an inherently unstable and disintegrative form of spirituality and see that the more consistent with this spirituality one tries to be the further one sinks into the mire of postmodernism. 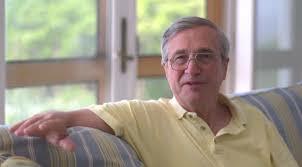 To learn more about Peter S. Williams and his work, see here. To learn more about Jason Ladd and his ministry, go here. 1. Jason B. Ladd, One of the Few:A Marine Fighter Pilot's Reconnaissance of the Christian Worldview, p. i. Children between 8 and 12 are at the critical age when they start to ask if Christianity is true. Cold-case detective J. Warner Wallace knows the thrill of high-stakes investigation and presents the case for Jesus in a compelling way while training kids “how to think, not just what to think” as they examine their faith intelligently. 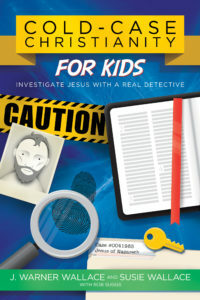 Cold-Case Christianity for Kids will help readers learn about conspiracy theories, test witnesses, and use the “Chain of Custody” as they investigate the evidence for Jesus. You can learn more about J. Warner Wallace and his important ministry here. Our review of Cold-Case Christianity is here. Our review of God's Crime Scene is here. You can pre-order Cold-Case Christianity for Kids here. I am excited about this one! 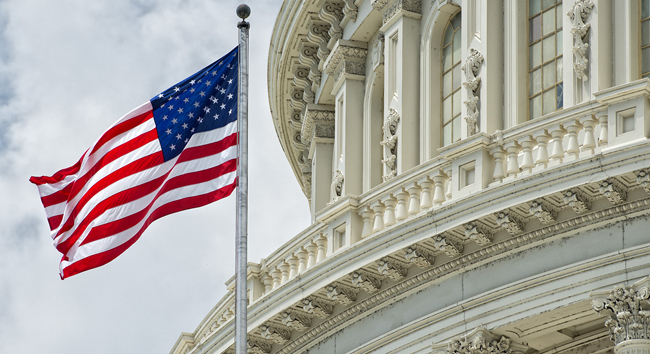 Luke Nix of Faithful Thinkers has written a great post about how Christians should vote in political elections. "As a defender of the Christian worldview, I do not defend just a 'mere Christianity' but an entire worldview that encompasses morality and ethics. Unfortunately, politics is necessarily dependent upon those two. How a person governs, legislates, judges, and even votes all comes down to their view of morality and ethics. In any political season, it is necessary for the Christian to understand the proper (true) ethical view to guide their decision in how they vote. They need to not only be grounded for their own decisions, but they need to be prepared for the times in which they can have intelligent discussions on the topic, rather than contributing to the simplistic emoting that we see on the internet today. 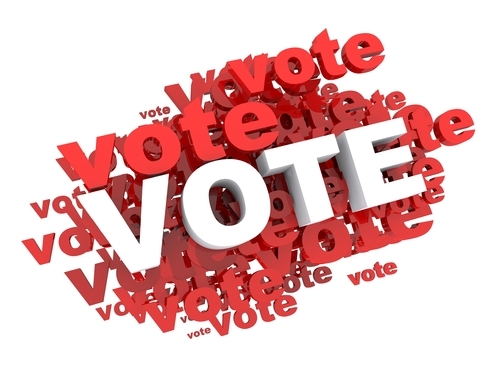 In this post, I want to take a look at how (if) a Christian should vote when the given option is not clear (who or if we should vote). I will conclude with books that I highly recommend for everyone interested in ethics and politics to read. Please take the time to read this post carefully and the links provided at the end. I believe that they will help prepare you for making the right decision when you go to the voting booth and will help you intelligently discuss and defend your decision." You can continue the article here. Please feel free to share your thoughts in the comments below and don't forget to get out and vote in November! Jason B. Ladd is a bestselling author, speaker, and Marine providing a cultural apologetic focusing on leadership, parenthood, and worldview development. He helps people discover, understand, and strengthen their faith. He is the founder of Boone Shepherd® and creator of IndieListers, the web’s largest live database of book promotion results created by authors, for authors. A US Marine fighter pilot explores life’s important questions as he prepares for combat, searches for truth, and wages spiritual warfare during his mission to become a better husband and father. You can learn more about Ladd here. Our review of this work is forthcoming. I confess that I started it yesterday and had a hard time putting it down! Why doesn’t God reveal himself so plainly that no one could doubt the truth of his essence? Why are there so few clues to God? Why are they so obscure? Why does God hide? 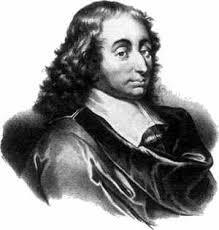 Blase Pascal was a seventeenth century physicist and mathematician who had some thoughts, or "Pensees", on these questions. In Pensees 149, Pascal states, "If [God] had wished to overcome the obstinacy of the most hardened, he could have done so by revealing himself so plainly that they could not doubt the truth of his essence…This is not the way he wished to appear when he came in mildness, because so many men had shown themselves unworthy of his clemency, that he wished to deprive them of the good they did not desire. It was therefore not right that he should appear in a manner manifestly divine and absolutely capable of convincing all men, but neither was it right that his coming should be so hidden that he could not be recognized by those who sincerely sought him. He wished to make himself perfectly recognizable to them. Thus wishing to appear openly to those who seek him with all their heart and hidden from those who shun him with all their heart, he has qualified our knowledge of him by giving signs which can be seen by those who seek him and not by those who do not. There is enough light for those who desire only to see, and enough darkness for those of a contrary definition." In Pensees 235 he states, "Jesus came to blind those who have clear sight and to give sight to the blind; to heal the sick and let the healthy die; to call sinners to repentance and justify them, and to leave the righteous to their sins; to fill the hungry with good things and to send the rich empty away." 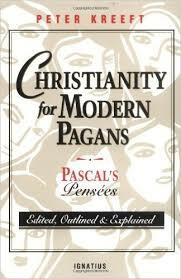 Peter Kreeft, in his treatment of Pascal's great work, Christianity for Modern Pagans, Pascal's Pensees Edited, Outlined & Explained, states about Pensees 235, "...that same light that fulfills some threatens others; that the same divine nature, the same justice and righteousness and holiness, the same unselfish love and self-surrender and willingness to suffer that is heaven to the saints, is hell to sinners. Christ does not deliberately and delightedly hide from the wicked or blind them. He can't help it, just as the sun can't help shining...He blinds sinners simply by being what he is." In Pensees 234 Pascal says, "God wishes to move the will rather than the mind. Perfect clarity would help the mind and harm the will." 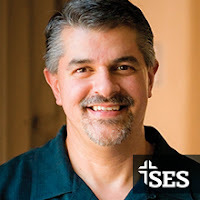 Peter explains, "Here is one reason God hides, that is, does not reveal himself more clearly. If he did, we would have more knowledge but less humility and thus less wisdom." Pensees 236 begins, "There is enough light to enlighten and enough obscurity to humiliate them. There is enough obscurity to blind the reprobate and enough light to condemn them and deprive them of excuse." Peter states, "He gives exactly the right amount of light. If he gave less even the righteous would be unable to find him, and their will would be thwarted. If he gave more, even the wicked would find him, against their will. Thus he respects and fulfills the will of all...If we don't want to believe, we don't...[The] Christian believes two things: that only those who seek God find him, and that all those who seek God find him...God, who alone knows hearts, knows who seeks him and who does not." Don't take my word for it, read the book, don't wait for the movie.